Family planning and sexual health services are free for men and women with qualifying income who lack medical insurance coverage. If you're planning to have a child, or trying to stay in your best health until you are ready to start a family, we can help. If you have no other medical coverage that provides basic family planning and reproductive health services, you may qualify to receive free health care. You are a man or woman between the ages of 13 and 44. You are not currently pregnant. You have not had a hysterectomy, tubal ligation, or vasectomy. 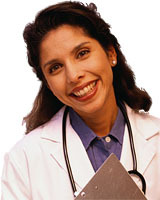 You do not have Medicare, CHIP, or any other health insurance or third party medical coverage. Your family income is at or below 194% of the Federal Poverty Level. An annual medical exam by a physician. This may include a medical history, height, weight and blood pressure checks, and for women, a Pap smear and clinical breast exam. To apply for these benefits, just fill out this online form, print it, and either return to the Mississippi Division of Medicaid, or bring it to the your local county Health Department on your appointment date. When you join this Medicaid-supported program, you'll be able to have a child when you're ready, and stay healthy until then, without worrying about unplanned pregnancy.